Do you have a Dining Table or Coffee Table that has rounded corners? Do you want to cover the table with glass? Or perhaps you want a Bespoke Glass Table Top, to have a Radius Corner/Rounded Corner? 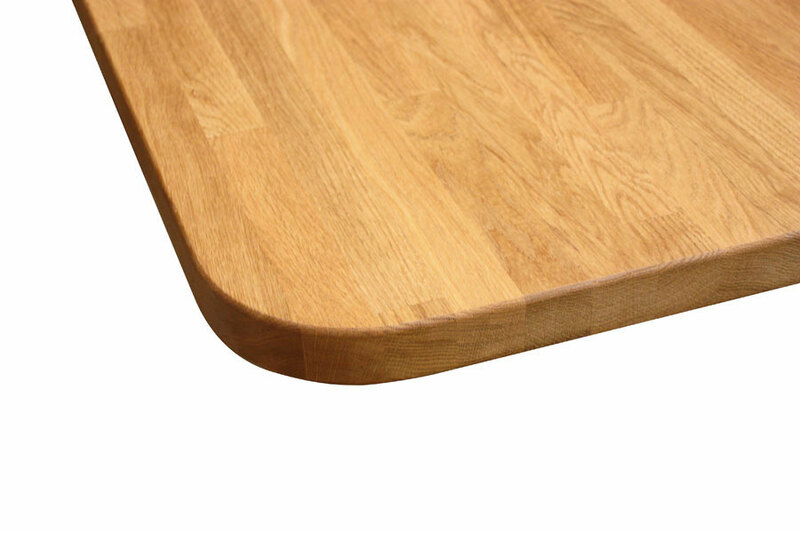 Many tables have rounded corners, we refer to these as a ‘radius corner’. The image below highlights what you can expect to see on your table corner, if you have a radius corner. If you are wanting a glass protective cover, then it is important to assess how much of a radius you require, so that the glass can match the profile as closely as possible. Equally, if you want a glass table top and want the corners to be rounded with a radius corner, if is worth considering how much of a radius you want, both from a practical and aesthetic perspective. A 10mm radius is average for exposed corners, for a glass table top, feel free to get in contact with us to discuss in more detail. The image below shows the range of radius corners from 5mm to 25mm. Radius corners are typically between 5mm and 25mm, over the 25mm dimension CNC (which is a computer aided cutting device used at the processing facility) can be required. The cost for this can increase the price of the glass, so if you’re unsure please contact us to clarify further. If you’re covering an existing table with a glass protective top, and the underlying table has rounded edges (a radius corner), then check out our handy guide on how to measure here.